Empower yourself and learn how to become self-sufficient in any situation. 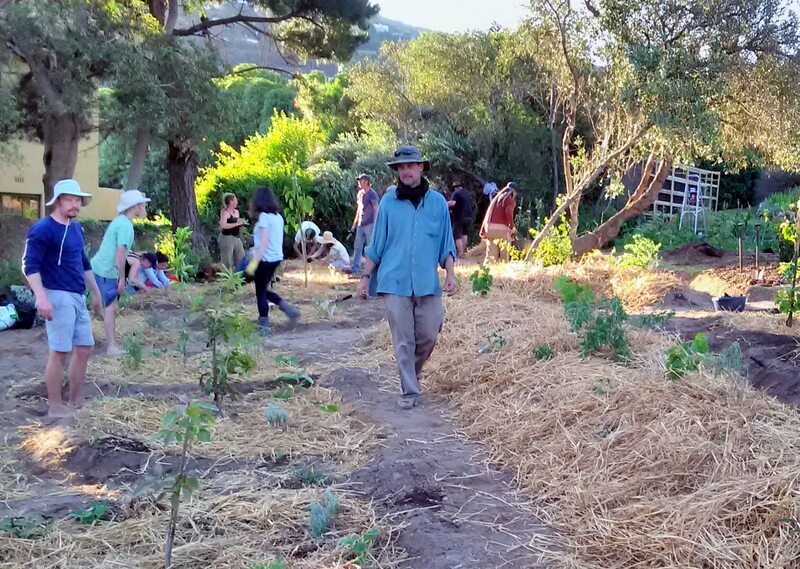 The Permaculture Design Course teaches essential skills to meet the challenges of a world beset with climate change, economic meltdown, and diminishing natural resources. Learn to design regenerative human living environments that will provide for your every need in a way that benefits everything and everyone around you. 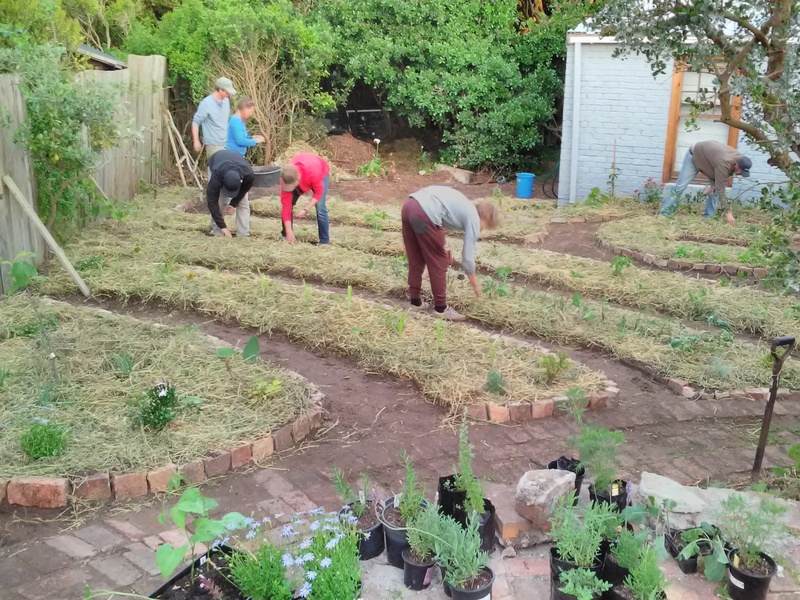 A Permaculture Design Course will change your life and set you on a pathway towards health, abundance, personal freedom and economic well-being without compromising the earth or your ethics. 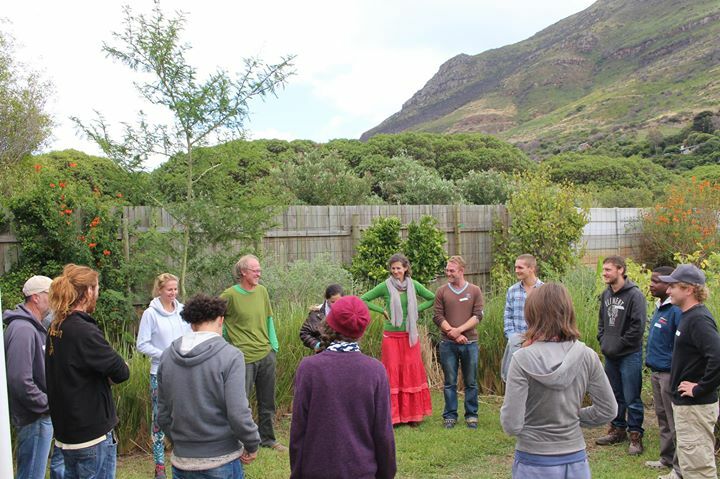 This course is the international standard for entry into the world of permaculture, exploring the ethics, principles, and methodology that underpin permaculture design. The process is dynamic and fluid and mimics the processes and patterns found in the structure of nature. By applying the design process and toolbox to any situation an elegant, appropriate and integrated living system that self-perpetuates will emerge. We as humans cannot separate ourselves from our environment and permaculture design concentrates this reality. The Love Green Urban Permaculture site is a typical suburban context that Tahir and Larissa have been retrofitting since 2010. The property is off the grid and has its own electricity and water supply nested in an urban food forest that is now starting to produce. There is still much to be done before all niches in the system are filled and the system reaches maturity but at this stage, it is a thriving and diverse system with a range of interesting elements and systems that can be transferred into any permaculture context. The site will be the base for the course and will host some of the practical sessions, specifically around vertical and container gardening, cold frames and other micro strategies that are needing implementation on the site. We will also be working at a select urban site in the area. This site is a relatively blank canvas for us to design and implement an urban food forest and vegetable production system. This will be the site of much of our practical work and we will also be traveling around the city to explore other effective applications of permaculture design in the urban context. Tahir and Alex have been practicing permaculture for 20 years. They taught together for the first time in 1995 and have trained thousands of students over the years. 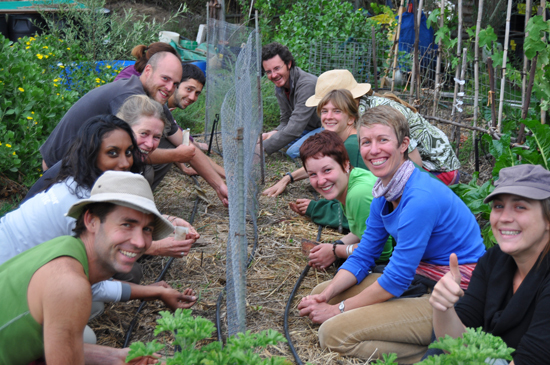 Through their own respective journeys into permaculture they have designed a wide range of permaculture systems ranging from small-scale urban gardens, eco-villages, farms to regional level marginalised community action plans, established and managed community projects and non-governmental organisations, consulted on ecological restoration and land rehabilitation projects across the country and abroad. Alex and Tahir bring this vast experience into the PDC environment, delivering a high-quality transfer of knowledge, skills and intuitive understanding of permaculture producing high standard graduate designers. The course runs over 13 days. 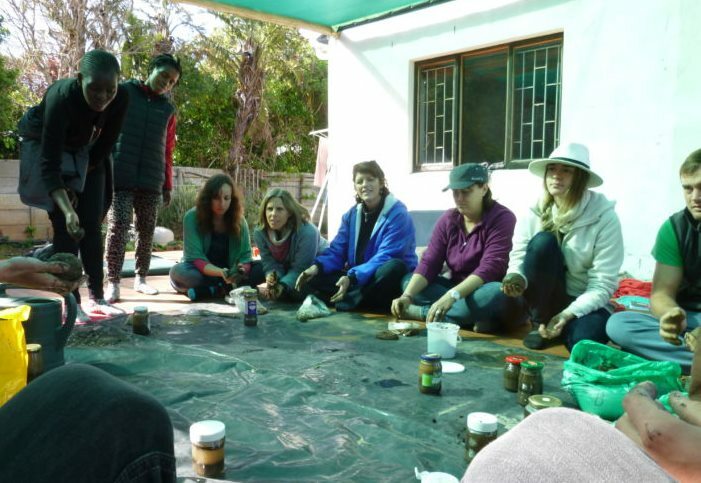 The learning process is based on Permaculture principles and makes use of a wide range of group-based and creative accelerated-learning methods. 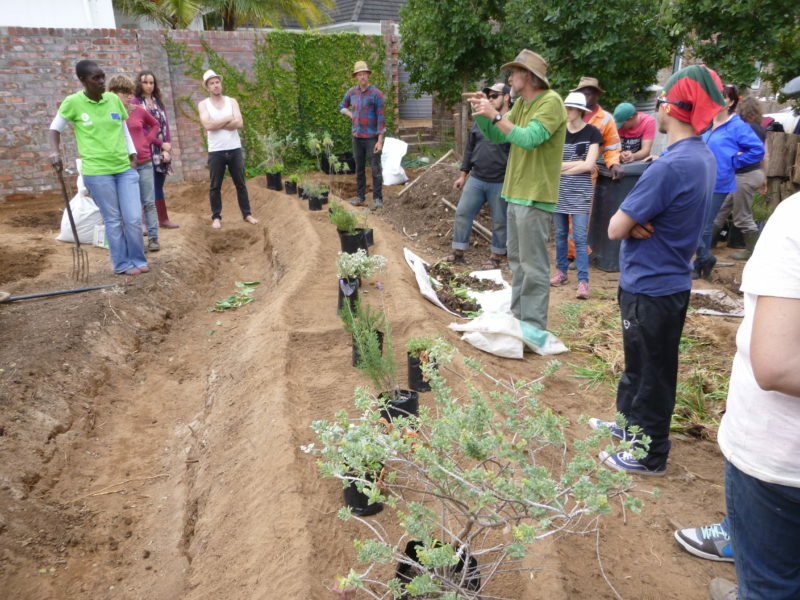 We take you practically through the design process in the context of a Permaculture environment, which presents a diverse range of challenges and opportunities developing design skills, knowledge and experience set that can be applied anywhere. By working in groups you will have the opportunity to cover material that is not possible through individual work and in the process of developing a real time design that will be implemented; you will also develop essential group working skills. 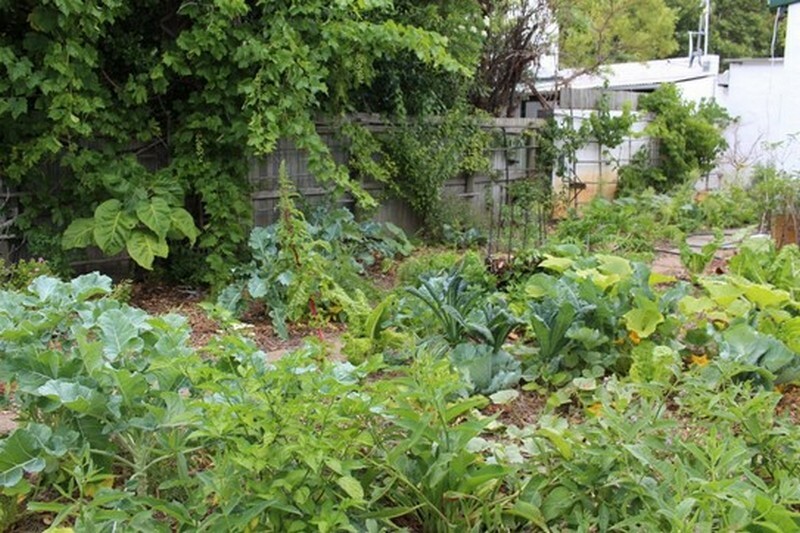 Many of the techniques and methods used in implementing Permaculture systems will be covered in some detail, but the focus will be on the design process. Flash drive containing course data, course materials, & field trips. Because space is at a premium in the training environments we will only be taking 18 participants. Contact us to request your booking form for the course itself via email. Your place is confirmed ONLY on receipt of your deposit. Your deposit covers the implementation costs of the course. Please contact us by email as this is most easily accessed by us on the farm as we have no phones in our homes or cell phone signal.